By Arnold Leese. The official autobiography of the leader of the pre-war Imperial Fascist League. Arnold Leese started his career as a veterinary surgeon who became a specialist in treating in camels in the Empire’s East Africa Protectorate, which later became Kenya. He served on the Western Front during World War I and in the Middle East, where he attained the rank of captain. 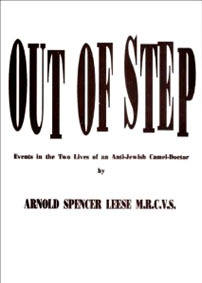 Upon his return to England, he turned his hand to politics to become one of the most famous pre-war radical politicians, distancing himself from Oswald Mosley, accusing the British Union of Fascists of being “kosher.” P/B, 74pp.